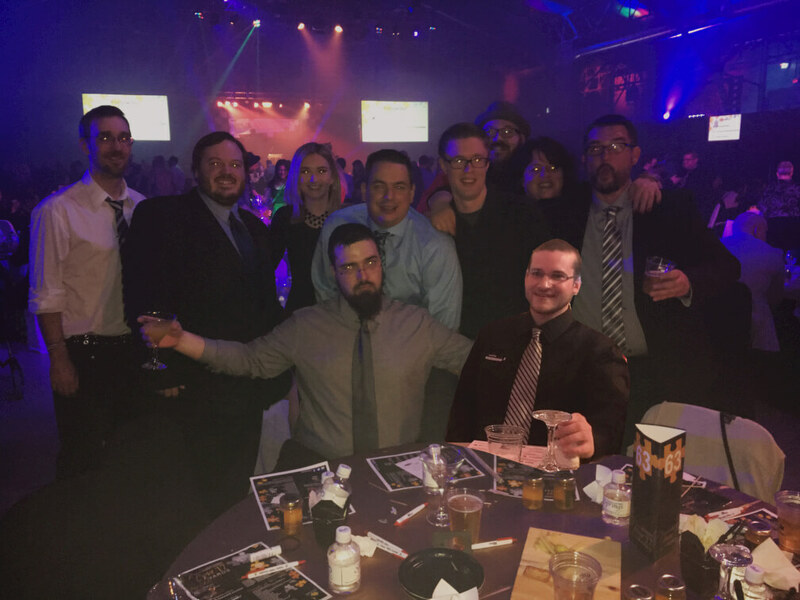 Great White North Takes on the Nova Awards – Great White North Technology Consulting Inc.
A Great night with a Great Team! Greeted at the MacIntyre doors with poutine, it is safe to say the GWNTC team had an excellent night at the 2017 Nova Awards. The MacIntyre Arena was transformed into a grand hall, filled with over 700 Timmins business people, making this year one of the largest Nova Awards ever. We made sure to get a photo of the whole team, however Benoit was MIA! Jasmine (our graphic designer) had to apply her Photoshop skills to include all of us. This year, we were nominated for the “Best Place to Work” award. We did not take the award home but we would like to send big congratulations to every winner at the 2017 Nova Awards. Seeing our local businesses come together and support one another last night was wonderful. We already can't wait for next year!